You should never expose yourself, your employees or your business to unnecessary risks. For this reason, you need to make sure stairs, doorways, ladders, platforms, ramps, walkways and other potential slick surfaces are treated with quality anti-slip protection. 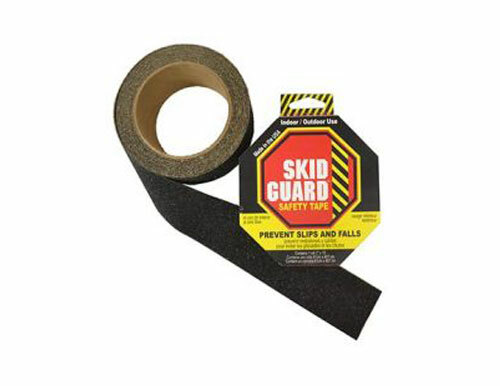 SKID GUARDTM anti-slip tapes and stair treads from Sure-Foot Industries come in a range of widths and lengths to fit any area, and our quality retail products help to keep you, your staff and guests safe. Sure-Foot offers a retail product line guaranteed to satisfy. 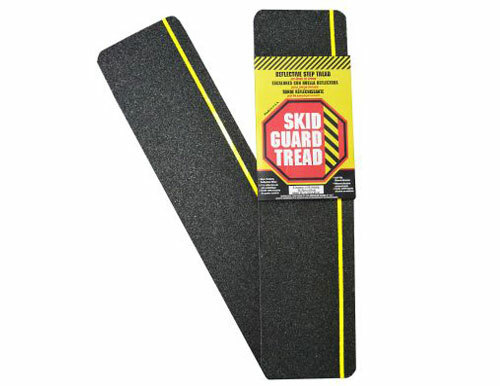 SKID GUARDTM tapes and tape treads come in a variety of sizes and insure anti-slip safety with any application. Our pre-cut anti-slip stair treads are available in three different widths and lengths. Both our six-inch and three-inch treads feature reflective stripes to provide illumination for even more safety. When properly installed, each of our SKID GUARD™ anti-slip products is guaranteed to function properly for a full year from the date of purchase. 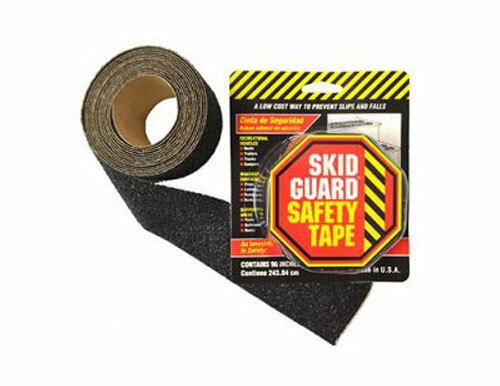 Like all products from Sure-Foot Industries, all SKID GUARD™ non-slip tapes and tape treads are manufactured at our plant in Cleveland, Ohio. 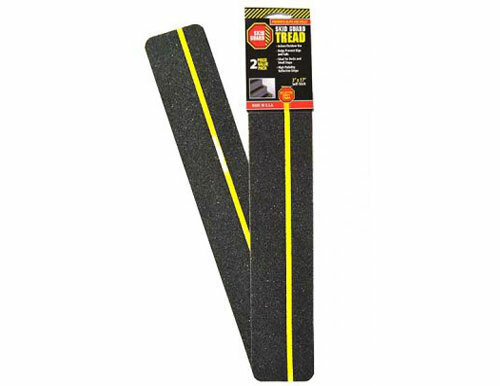 Our tape rolls and pre-cut treads feature quality, anti-slip grit coating. 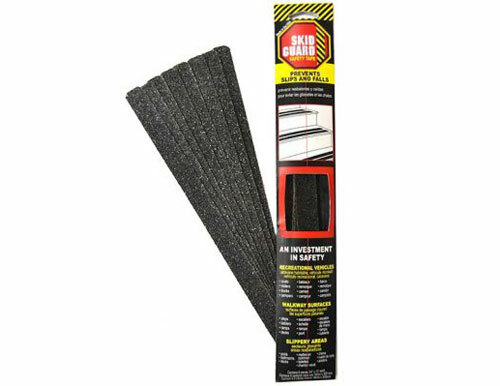 Tape roll and tread lengths are indicated in each product description. If you have questions concerning how much tape or tread you need for a building, walkway or specific area, feel free to contact us. We look forward to helping you keep your workers and guests safe.